It is essential for most if not all cricket bats to be knocked in before use. Knocking in is the process used in the conditioning and hardening of the blades’ surface. You are advised to use either a wooden cricket ball mallet or a ball. This enables you to have better control during the knocking in process. The duration of the knocking process mainly depends on how soft your will is; this could take up to 6 hours. However, if you apply Extratec the process should take up to 4 hours maximum. When starting the knocking process, you should hit the mallet against the blade firmly but avoid hitting it too hard. Increase the hitting pressure after an hour. You can then hit the mallet harder against the blade after about two hours. Cricket is a game which involves a hard ball thrown at high speed toward the batsman. The batsman is supposed to swing his bat and hit the ball. Therefore, if your new bat is not prepared properly before the game, it will crack up quite quickly. Why should your new bat have a short life when you can prepare it beforehand? Willow is the material used to make cricket bats. In its natural state, it is a very soft timber. Therefore, willow timber has to be pressed to form a resilient and hard layer on the surface. 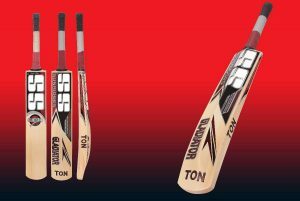 The mechanical presses in bat-making shops aren’t able to fully create a cricket bat with perfect performance. This is why a finished bat still needs extra hardening.